Merry Christmas everyone. We have had a hectic few days celebrating Daisy's 9th (yes, can you believe it 9 years old!) birthday and preparing for Christmas. 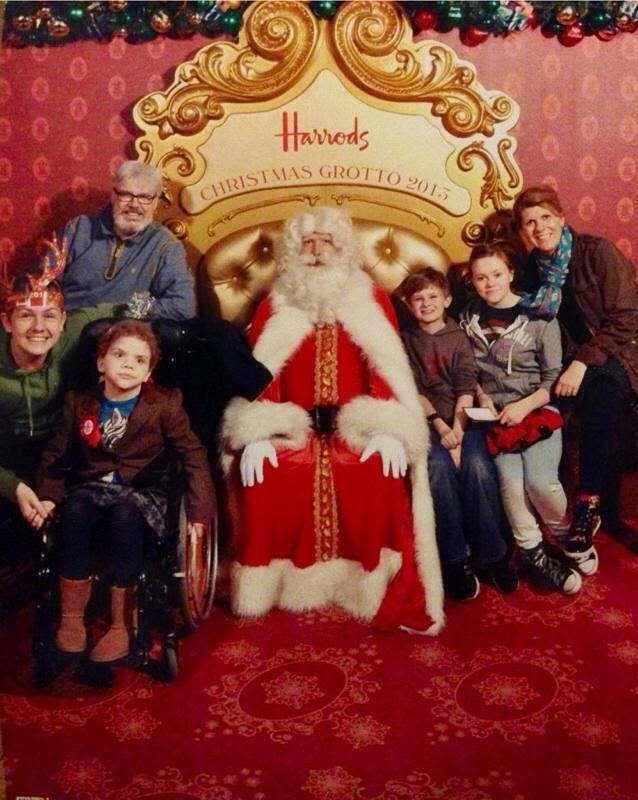 Here's a beautiful picture of us all meeting Santa in Harrods on her birthday. Life is pretty tough with lots of seizures, intravenous medications and an ever increasing workload but moments like this and the chance to celebrate another year with Daisy make it all worthwhile. Wherever you are, thank you for reading my blog and sharing my journey - have a peaceful and relaxing festive season.